Where did all these Mortys come from? There are too many Mortys! 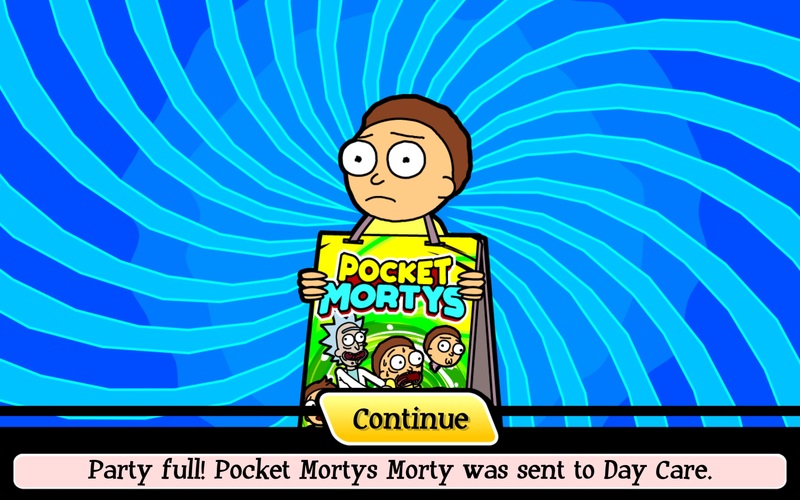 It's time to get even schwiftier with the release of another Pocket Mortys update! Ooo-wee, there are some good Mortys in here! There are 11 to be exact, with a Morty Fanboy Morty to take things to the next level of bizarre. There's truly a Morty for everyone, just like there's a Rick for every Morty and a Morty for every Rick. And out of all the Mortys in the world, the Morty you're using can be the Mortiest if you really want him to be. But that's not all. In the quest to become as much like Pokemon as humanly possible, this update adds in both Poison and Absorb attacks, as well as Courier Flap and Poison Cure. Courier Flap acts a bit like the Fly HM in Pokemon, and will return you to the Citadel hub. Interestingly, there are now Morty Labs as well, which you can re-learn moves at if you had to choose to forget any. Perhaps all of the updates we've had here lately to Pocket Mortys means that Season 3 is finally on the horizon, hmm? If you've never seen Rick and Morty, you're really missing out. It's seriously something you'll want to get into, even if you do it only to get into Pocket Mortys. It may seem silly at a glance, but you'll be glad that you did.